An AFOL Group in the LEGO Community has asked us to provide as wide as possible the same facilities with positionng and radio control for LEGO trains as we demonstrate for Model Trains and Faller Cars. The project was initiated autum 2013 and the prototypes of the trains with these facilities build in were demonstrated in Nuremberg 2014. The trains can operate using exact the same PC- and Position system as well as tablets and smartphones and voice for control. Multiple trains can operate together, will be positioned on the screen, and will run automations, stop for signals and obey all other manual or automatic commands. The total system including the control of the turnouts and the signals is expected to be finished in April 2014. But right now already a great play is available. It all works without disturbing any standard LEGO components. 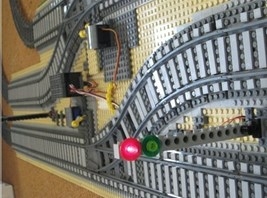 You can still run the train using your normal IR-controller. Our 3 Legofriends Peter, Tomas and Jesper have designed the houses in order to get maximum reflection from the LEDs at the signalmast and in order to fix the Servo engine in a LEGO house so that the servoe continues to operate also after 100 movements. 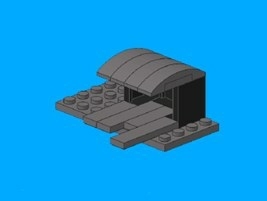 We have enclosed the Construction guide. 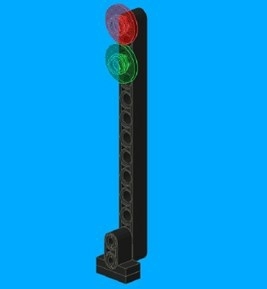 GamesOnTrack supply a brick set where two signalmasts and two servo houses can be build, please see the web-shop. Item 1308024. There are many other alternative wasy to build signal masts and servohouses. You are welcome to post you own. Q10: I visited Cologne Fanwelt and saw your booth as well. i heard some sound in the trains, how to do that? A10: The new sound Module will be launched in February. It will allow you to insert sounds in trains, and you can decide yourself which sound you want to run, and where the sounds will be played. Q9: Where can I get access to manuals and samples? A9: All guides and manuals can be downloaded from our download service on forum. You need to have a GT-Command license for that to access the forum. If you do not want to buy right away you can ask for a 30 days test license in the Web-shop. 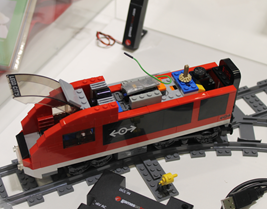 Q8: Does it matter which battery type the train uses, would you recommend the LEGO Rechargeable battey box? A8: It does not matter what type you use, standard batteries or rechargeable. there are two types to be configured in the vehicle list, rechargeable with 7,2 V and standard alkaline with 9 V. We have no recommendations. Q7: When will you be able to deliver? A5: Yes you can if they are upgraded to V 2. GamesOnTrack has an upgrade service for upgrading from V1 to V2. You can drive all senders combined under the same satellites. Q4: Do I need the GT-Position upgrade for just driving the trains? A4: No, if you only want to control the trains, speed, light, sound etc. you do not need the GT-Position Upgrade. 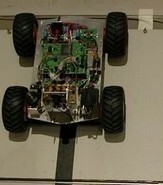 That is why the starter kit is separated from the GT-Position. Q3: Why do I need 3 satellites for drawing the layout when I only have a flat 2D layout. A3: You can do with 2 satellites, however then you will need to place them outside of the layout. We recommend 3 because then you are free to put them where it fits you, and if you have more levels they can be tracked as well. Q2: Why can't I order the system in German language, as far as I know GamesOnTrack also sells the GT-Command in Germany? A2: The product is available in 3 languages: English, German and Danish. So far we have only updated the Danish and English web-shop sides, the German will follow in August along the release of the GT-Command V 4 in Germany. Q1: Why can't I order the Sound module? A1: The sound module is only prototype in the moment. We expect it to be ready for shipment in november 2014. The GT-Xcontrol IR does not need to change since it already has the connector. Please note that the servo with shoe fits exactly with the edge if the wall brick element, and has the name-side of the Servo down. The same house is used for right and left turnouts. The important point is that the arm of the servo has the same length as the arm of the yellow handle. This is where you insert the screw in the servoarm.